"This image follows a very old tradition of still life painting called vanitas. Vanitas paintings began in the humanist and educated community of Lieden University in the seventeenth century, and they are meditations (often very beautiful, seductive and luxurious meditations) on the transience of life, wealth and earthly achievement. In these paintings smoke or steam is a symbol of the short passage of life; riches or a crown represent fleeting earthly power; and an old decaying book reminds us that even knowledge and our intellectual achievements will pass away. 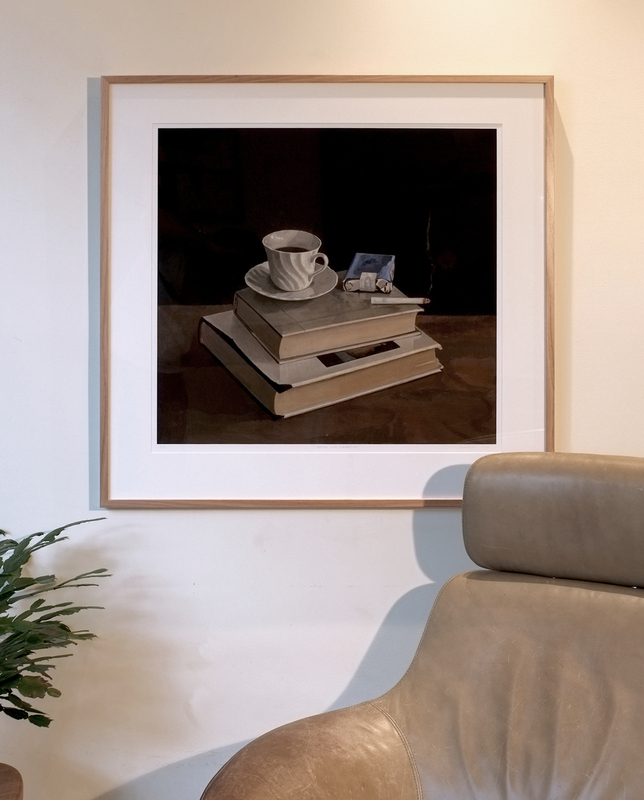 The particular book in this image is a rare and valuable copy of Charles Sterling's famous history of still life, which I bought at great cost in London about ten years ago, when I was at university, younger and possibly richer than I am now."